Surf camp right in front of Razo beach! 40 minutes from A Coruna airport. 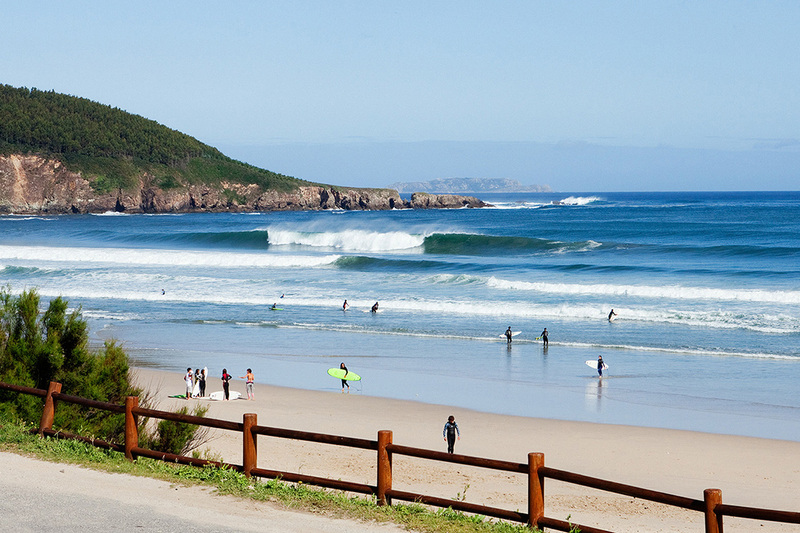 Razo Surfcamp is perfectly located right in front of the beach. 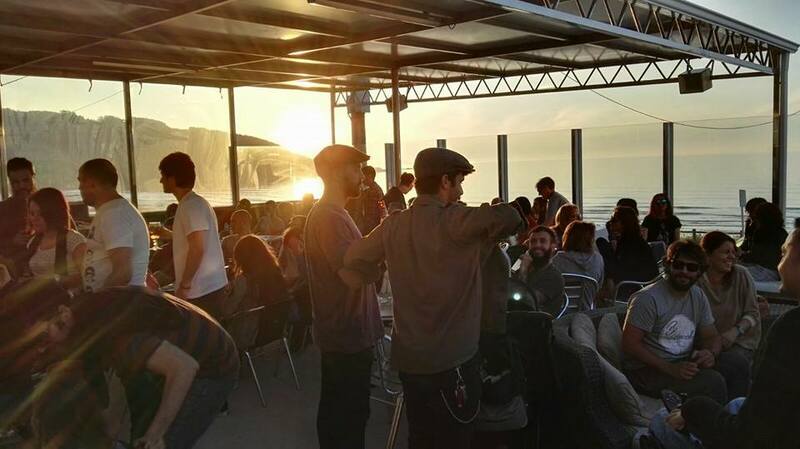 One of the best spots in Northern Spain to learn to surf and for relaxed surf holidays. No crowds and absolute tranquillity in this small coastal town. Full board (All meals) already included in all packs all year round except from 1 January till 31 May ! One way and back Transfers from A Coruña OR Santiago de Compostela already included in all packs! 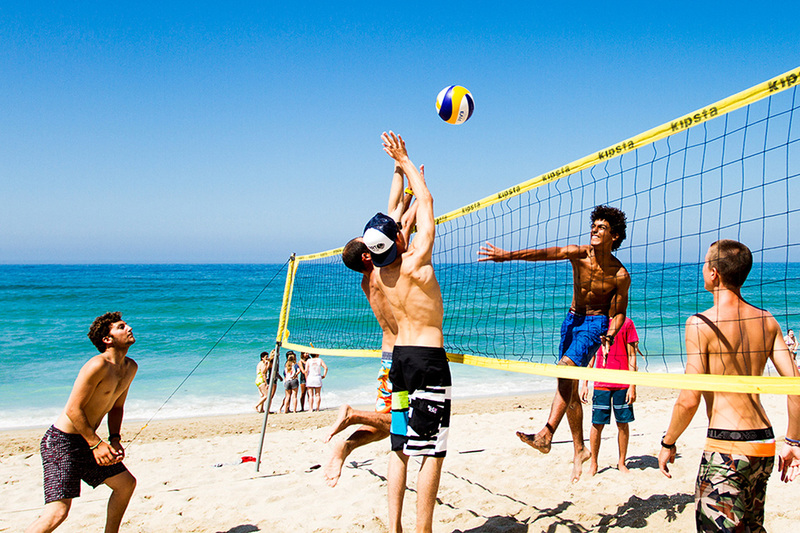 Extra activities: Yoga, volley-playa, ping pong and football. 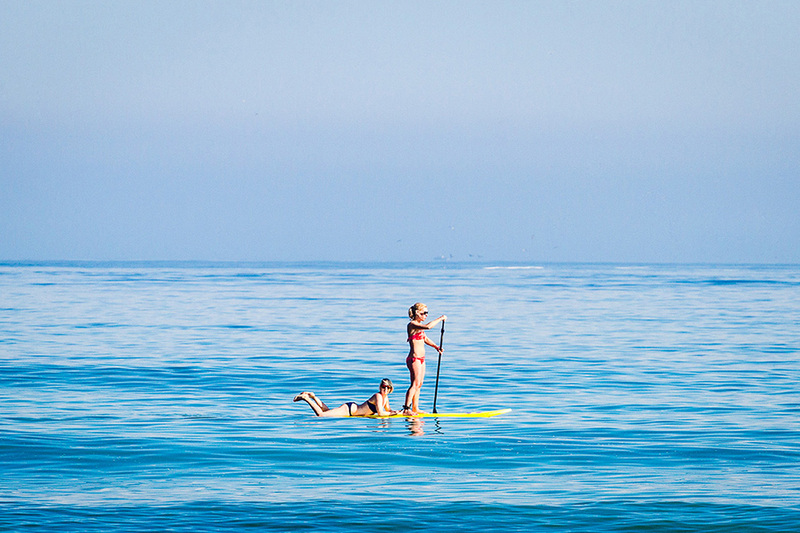 In the evenings surf freely, supervised by the instructors. Minors under 18 must bring a signed Temporary Guardianship Form, signed by a parent or legal guardian. Like most areas in the North of Spain, Galicia is a hilly region with a rugged coastline, yet with plenty of sandy beaches and surf spots. 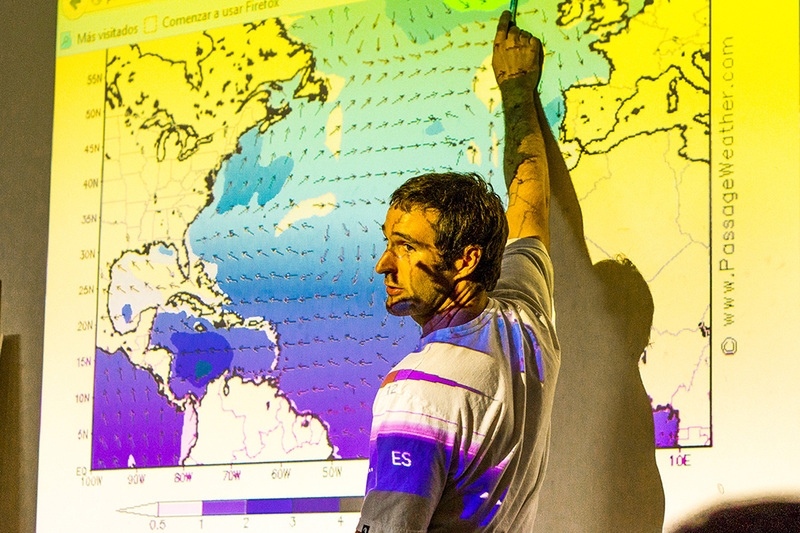 The north of Spain has an oceanic climate with mild winters and mild-warm summers. Here you will find plenty of things to do and discover why the Spanish culture and gastronomy are famous all over the world. 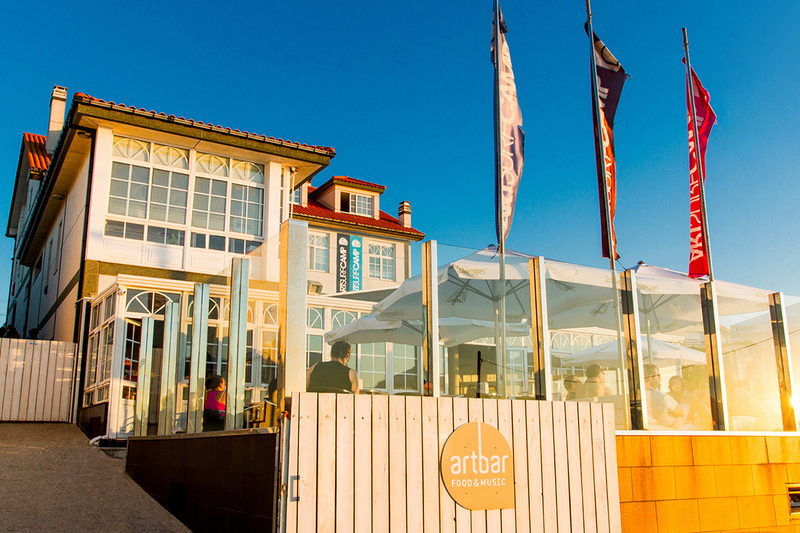 The nearby cities of Coruña and Vigo will be worth a visit during your stay at the Razo Surfcamp. 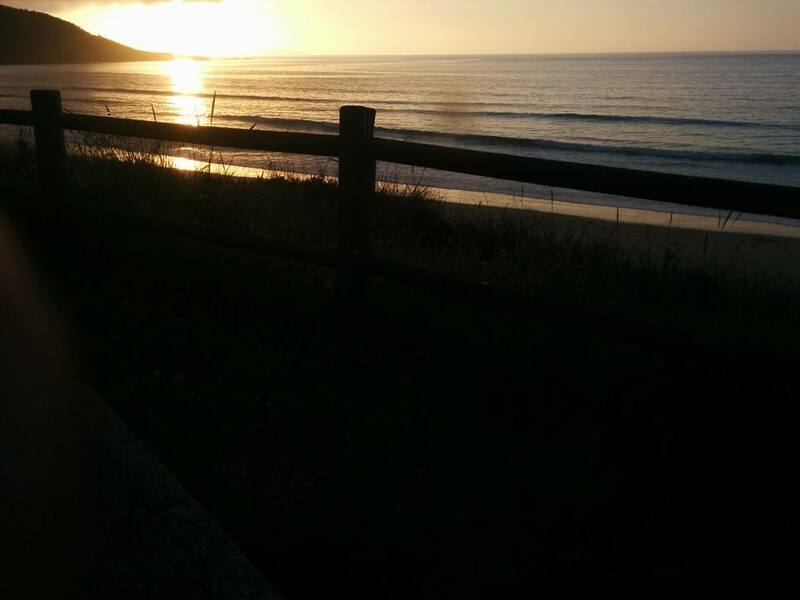 The surf house is right on the beach of Carballo called Razo, a sandy beach with an extension of 5 km. 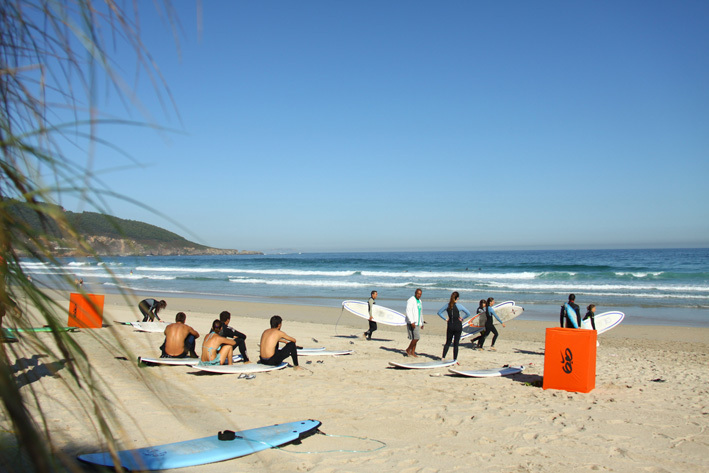 The surf camp and surf school is located 35 km away from A Coruña and its International Airport. Surf in Galicia gives you many options of waves for all surf levels and surf spots to choose from, such as beach breaks like Razo and Nemiña, point breaks like Monte Blanco and reef breaks like Coprinos. All the coast from A Coruna to Vigo is one the few left places in Europe where you do not have to fight for waves in the water enjoying a nice surfing session with no one else on sight! Stress free surfing! This corner of Spain is the ideal place for surfers as it gets swell from different directions coming from the North Atlantic. Therefore Surfinn Surf Camps recommends it for experienced surfers looking for surfari packages and localism will not be a problem there. 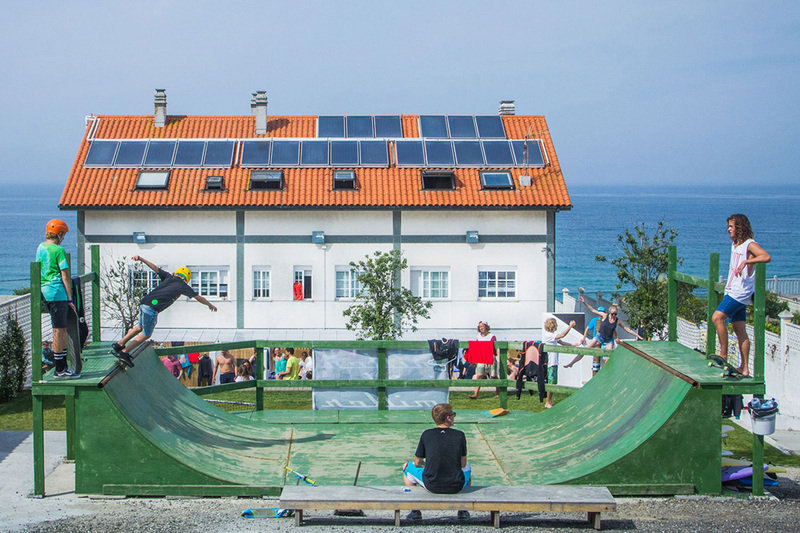 Razo Surfcamp has 6 bedrooms, accommodating up to 25 guests which is the ideal surf camp for groups, for team building and incentive trips looking for surf holidays in Galicia! 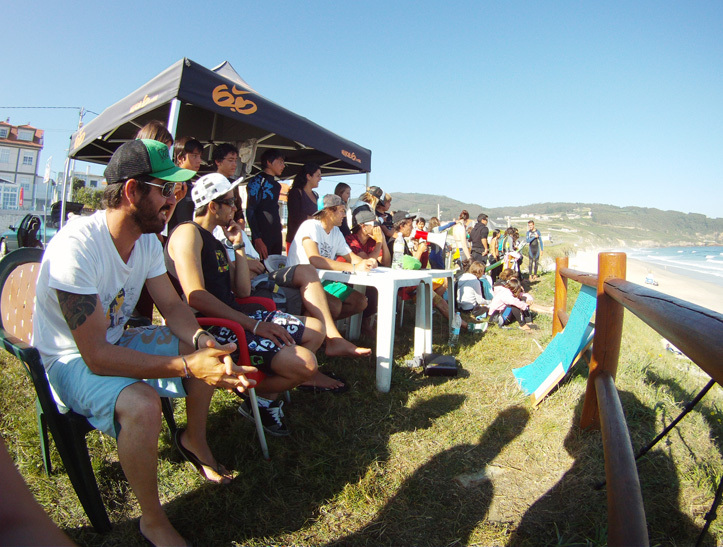 Razo Surfcamp & Surf School is more like an hotel with a total capacity for 86 people and over 2,200 m2 of total area. There aren't many places along the Spanish coast where you can enjoy a nice surfing session with no one else on the water, just you and your mates! If this is what you're looking for, than this is the place! The surf house has 2 floors with ocean view windows. All rooms offer wardrobes and lockers where you can store your stuff while you have fun surfing. 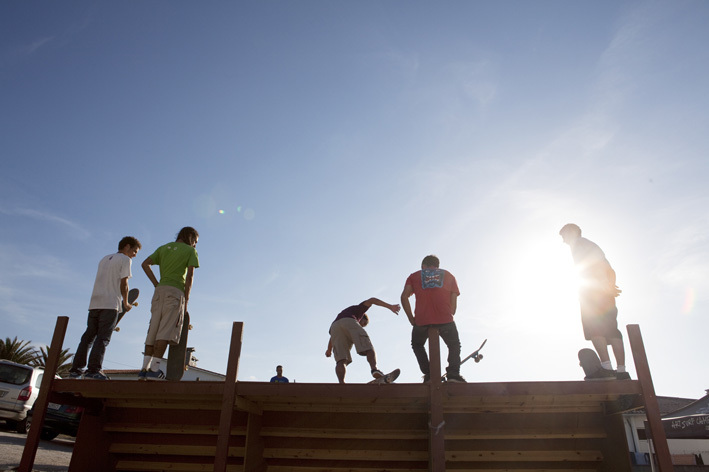 The first floor has shared bedrooms for 4 and 6 people with bunk beds and separate shower and toiletry areas. 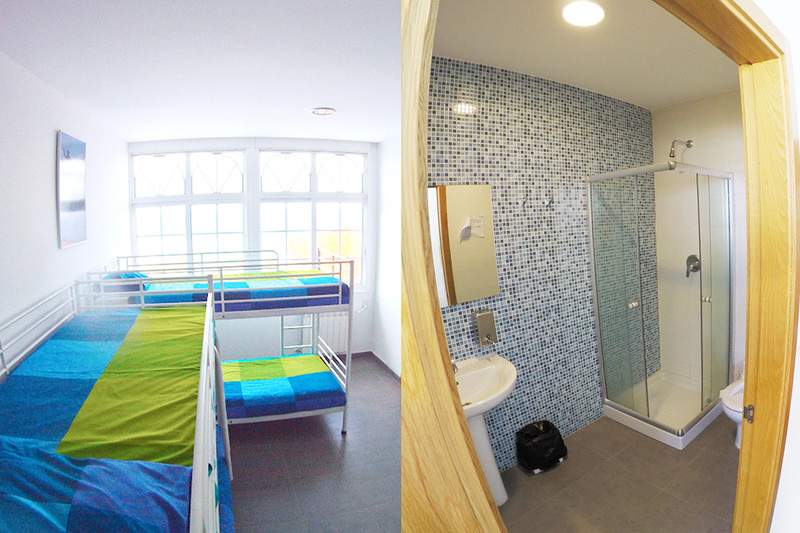 The second floor has shared bedrooms for 4 people with en suite bathrooms. The surf house is right in front of the beach, only 20 meters away from the shore. 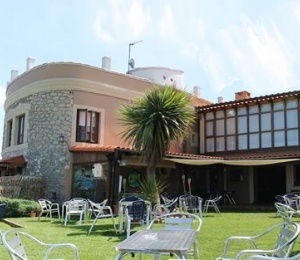 It has all the facilities you need for surf holidays in Spain, with 6 different rooms distributed in 2 floors. For larger groups we also operate a surf house 200 meters from the beach house, with 5 shared rooms. The beach surf house has a capacity of 25 guests with each room to host between 4 to 6 guests; boys and girls sleeping in separated rooms. Whether you come alone or with friends or family, the rooms allocation will be organized to make your stay at the surf camp as much comfortable as possible. 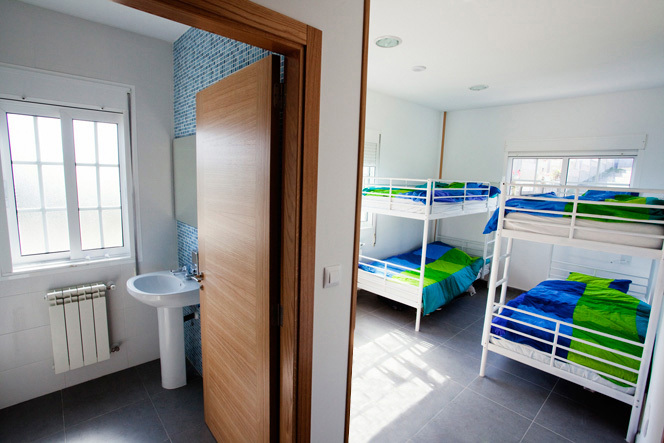 The surf houses are fully equipped with all the necessary facilities: kitchen, living rooms to chill out and independent bathrooms for boys and girls. 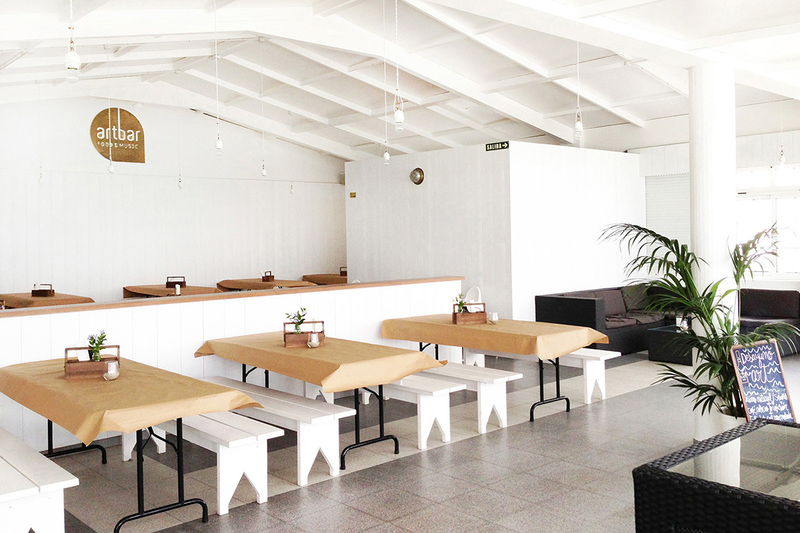 At Razo Surfcamp's bar and restaurant you will be able to enjoy your morning coffee, lunch and dinner. You can relax after a day of surfing or watch the waves before starting from the stunning sun terrace. The chill-out area is the perfect place to relax on the hammocks or in the garden area. 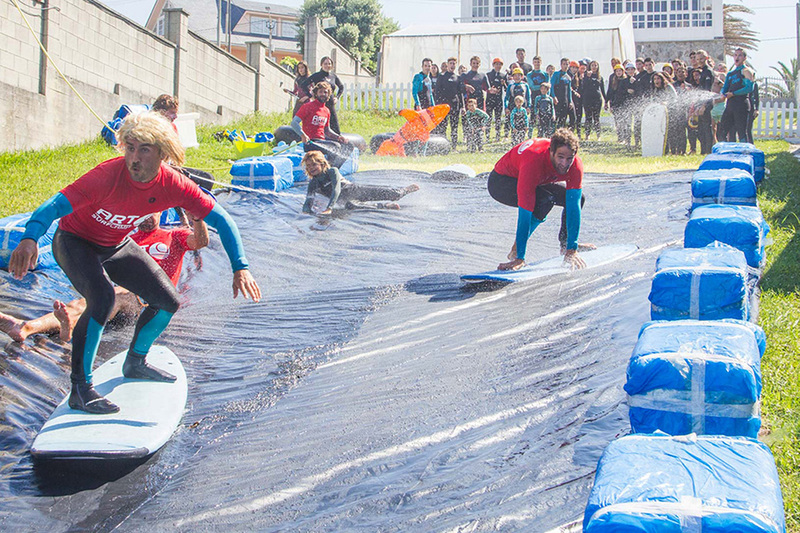 We also have a mini ramp, a 3 sided football field and a volleyball court.At the surf school, you will have the best surfing equipment in order to ride the waves in Razo, surfboards, wetsuits, etc. 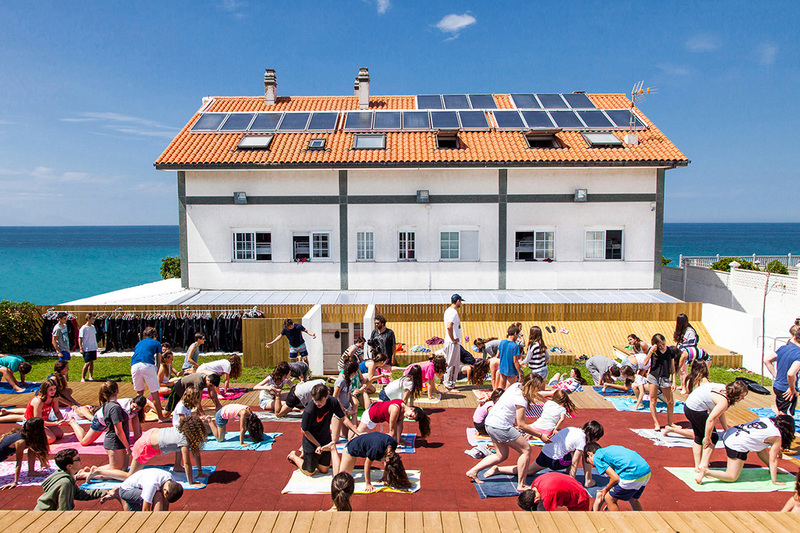 Razo Surfcamp has created packages especially focused on junior surfers during their summer vacations. Definitely a great place to improve surfing skills or to experience the first waves. 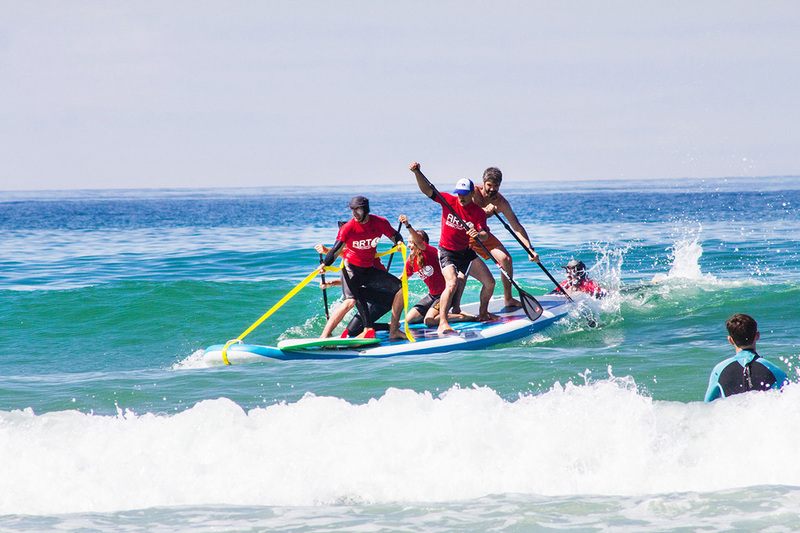 Though, this surf camp and surf school is more than just surfing, it's also a about creating a social and environmental responsability according to our standards and policy. 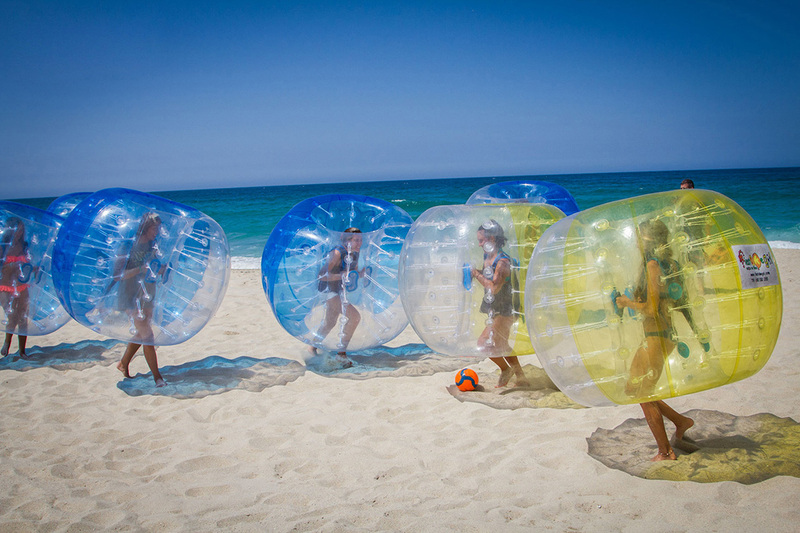 There's always a relaxed atmosphere in the surf camp and many extra activities taking place everyday. Galicia is on the top left corner of the Iberia Peninsula and gets the entire swell from the powerful Northern Atlantic storms. Despite its surfing potential, Galicia still remains as one of the few places where virgin waves still exist. A fjord-like geography naturally offers you many point breaks along the coast. This diverse coastal morphology full of river mouths, bays, rocky cliffs, also offers a big array of beach breaks, reef breaks suitable for all kinds of surf levels. Razo Surfcamp & Surf School is perfectly located right in front of Razo's beach and close to many of these secret surf spots. This may be considered one of Europe's most unspoilt natural landscapes with no resort on sight for miles! The coast here belongs to fishermen and surfers! This region also offers plenty of extra activities to do nearby. 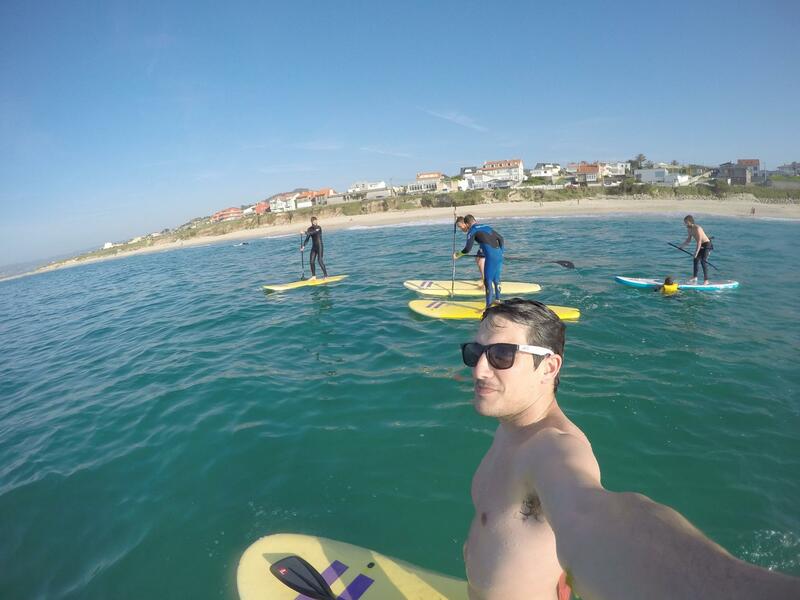 Our surf instructors will make sure that you'll never get bored! We will take good care of you or your kids from the moment of arrival! 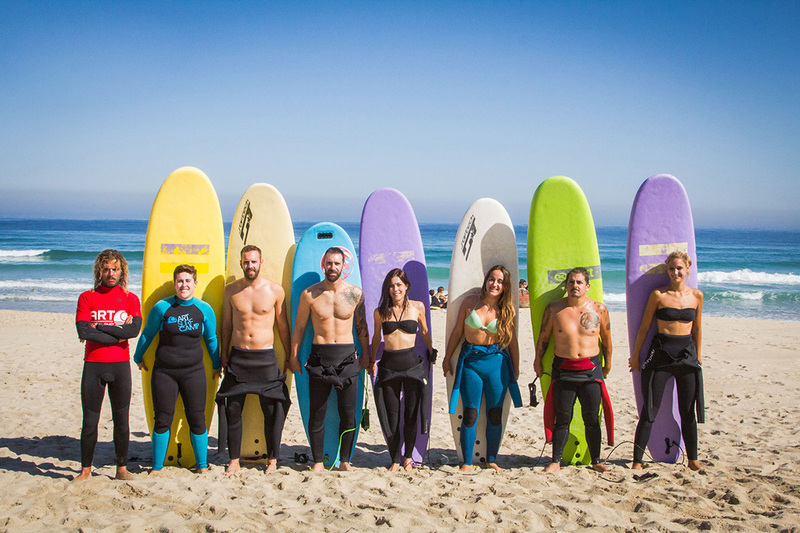 The surf school operates since 2004 and is one of the most recognized surf schools in Spain offering several surf courses for adults and juniors. 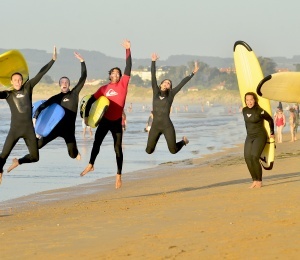 All our instructors are certified by the Galician Surfing Federation. 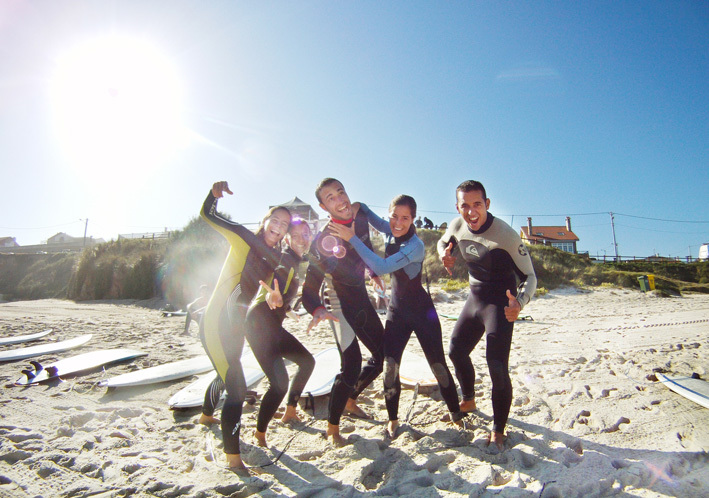 At Razo Surfcamp we also offer surfari packages, guided surf tours which are more appropriate for experienced surfers looking for the best surf spots in the North of Spain. 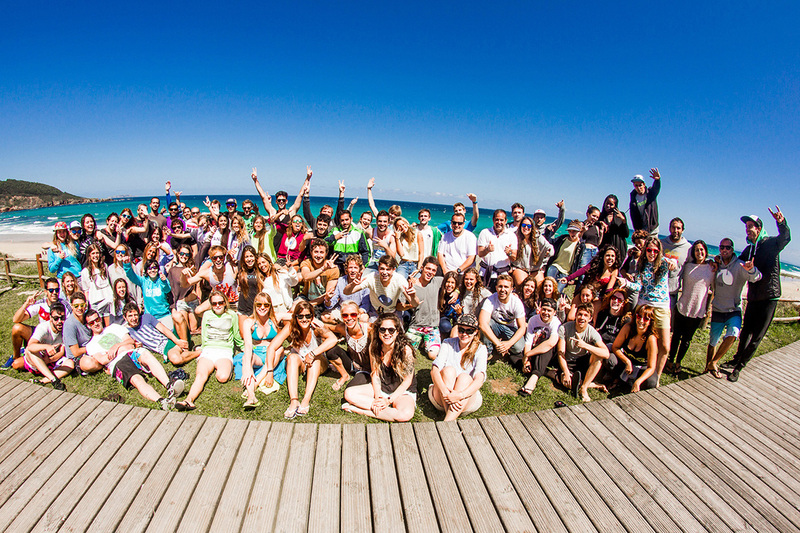 The surf camp includes daily complementary video surf lessons and workshops that will help you improve your knowledge. The surf school has a set of showers where you can wash your surfing material and a drying zone where you can put them to dry so that they can then be spotted in perfect condition on your next surfing lesson. SURFINN © 24-04-2019 04:18:46. ALL RIGHTS RESERVED.